Hohner 2 row in Bflat/Eflat, reeds re-valved, re-waxed and tuned. 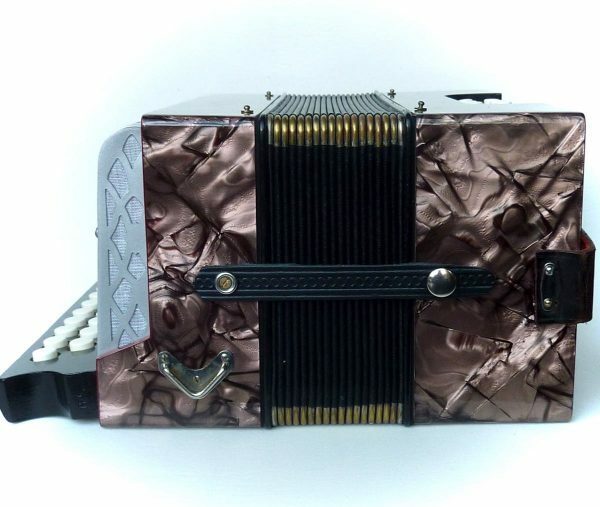 An older model, most likely from the early 1930s with purple pearloid finish, raised metal grill and wooden keyboard. 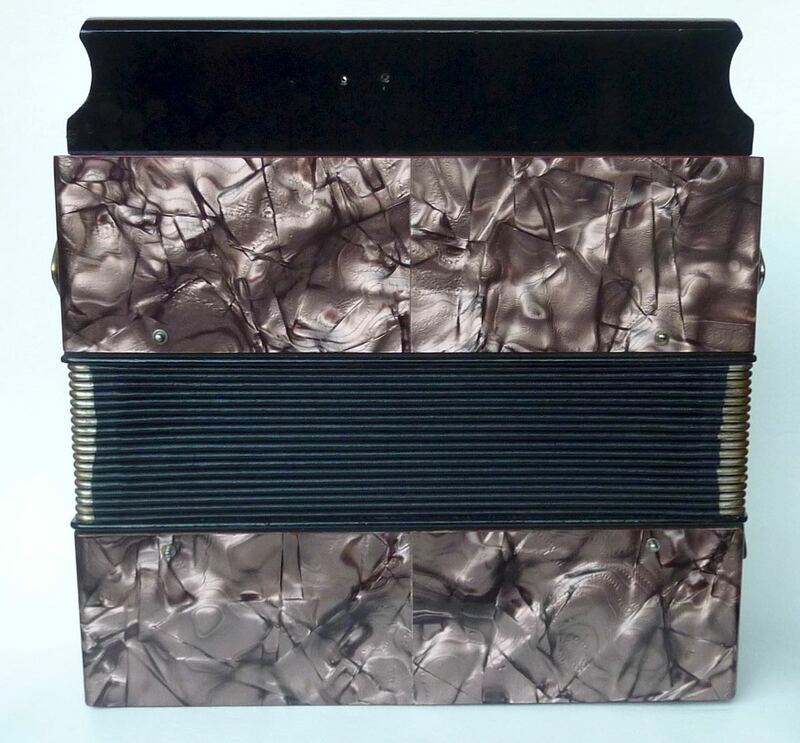 It’s a sweet player with the warm sound that is typical of early Hohner steel rreds on zinc plates. It is in concert pitch and ready to play. 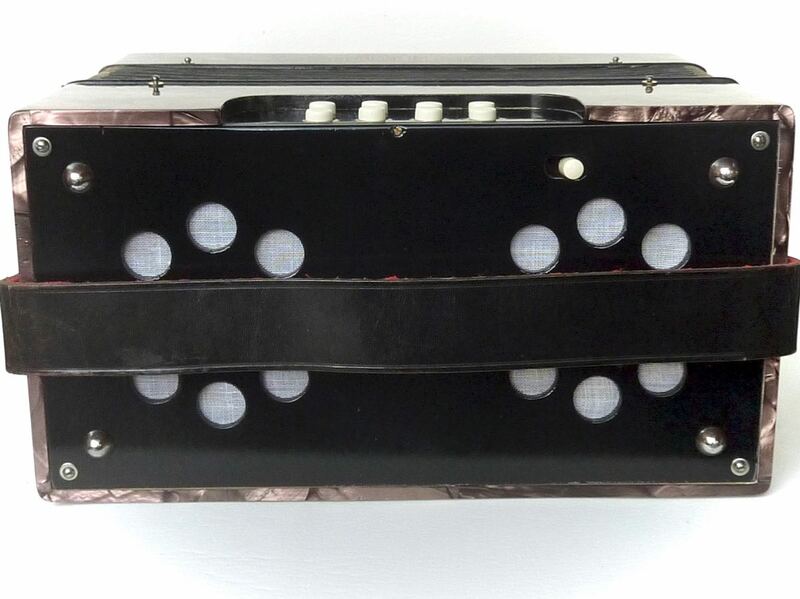 Hohner 2 row in Bflat/Eflat, reeds re-valved, re-waxed and tuned. 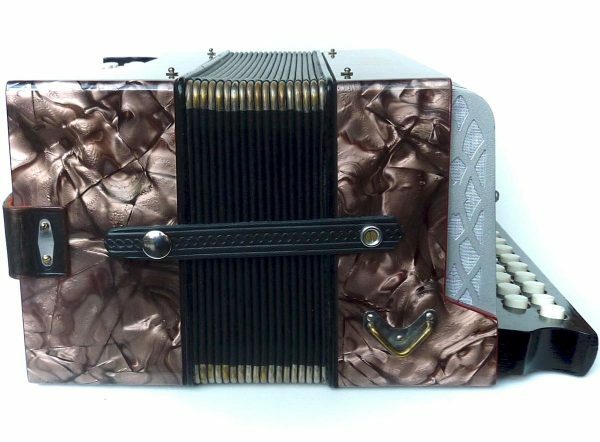 An older model, most likely from the early 1930s with purple pearloid finish, raised metal grill and wooden keyboard. 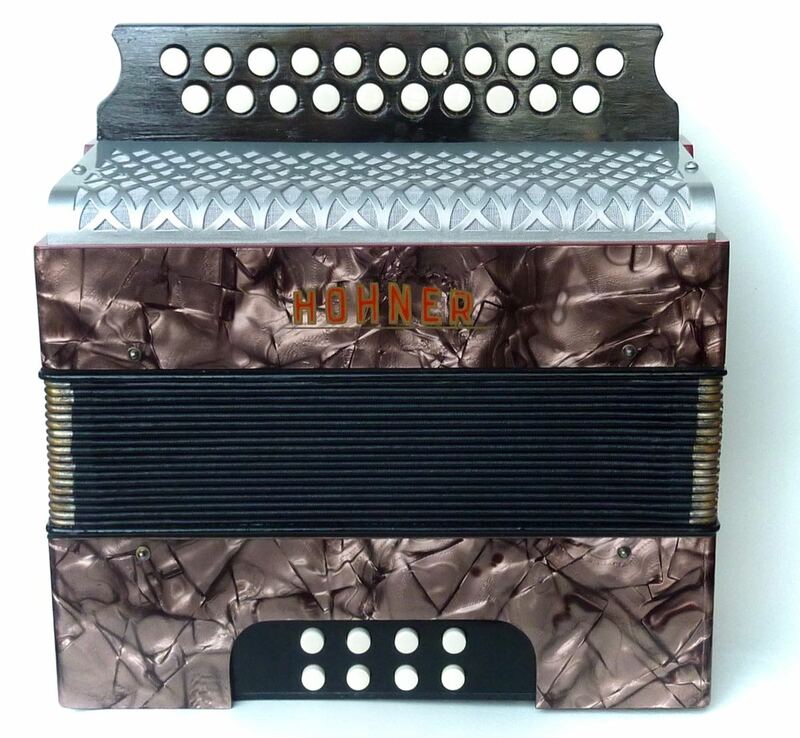 It’s a sweet player with the warm sound that is typical of early Hohner steel rreds on zinc plates. It is in concert pitch and ready to play. It has new bellows straps and a new plain lewather shoulder strap. It has no case, but a new gig bag is available for an additional £30. Standard UK delivery £15. Collection welcome by appointment. I welcome your general enquiries, or requests for more specific information. I also appreciate any feedback you can provide about my services.